Debe realizar reservaciones con al menos 5 minutos de adelanto en Restaurante Icu. Somos un restaurante de comida mexicana moderna, donde tomamos recetas clasicas y les damos nuestro toque especial. Contamos con un espacio intimo y exclusivo. Quiet, intimate, soft lighting. This is one of the best restaurants in Vallarta. 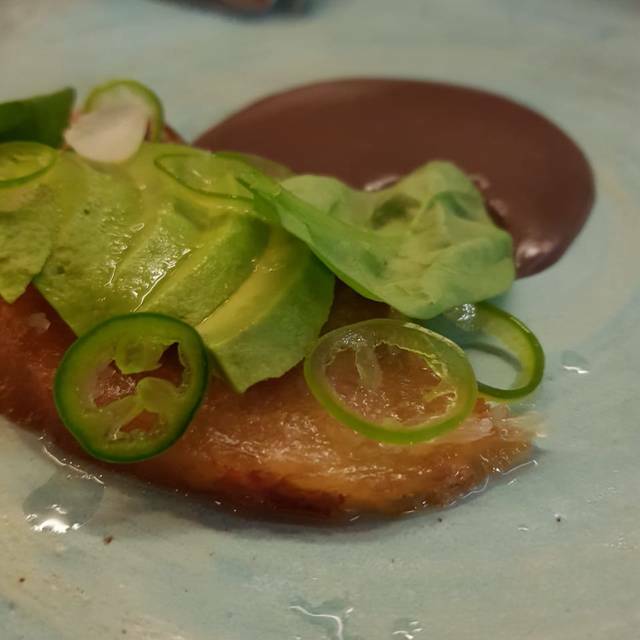 The tasting menus offer creative and exciting riffs on classic Mexican dishes. Also, the bartender knows how to make a good drink. Decidimos celebrar nuestro aniversario en este fresco y diferente concepto. La atmósfera es muy actual y la comida es sorprendente. 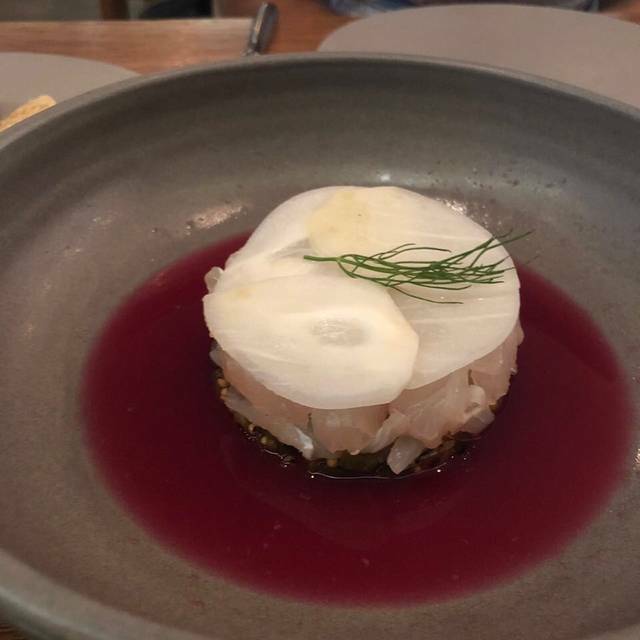 Elegí el menú 5 tiempos y los 5 fueron deliciosos, pero lo más exquisito fue el cierre con el mouse de maracuya y plátano. We have not seen in Puerto Vallarta a quality in every aspect. 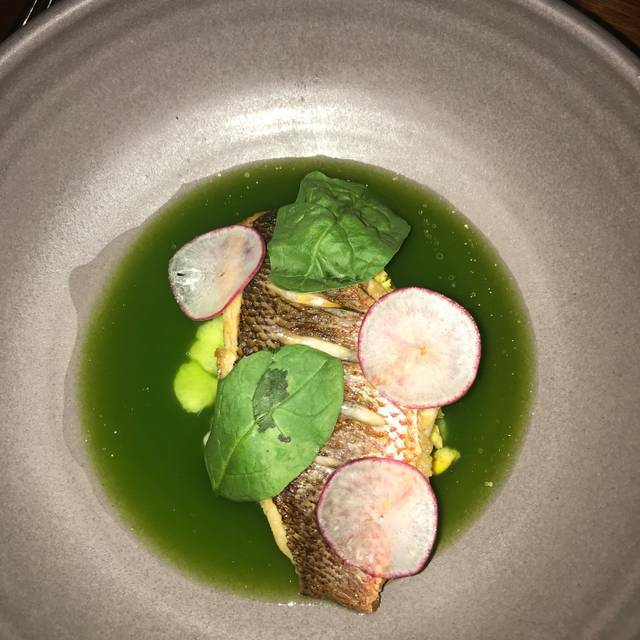 The food, the service, the personal was above and beyond. We cannot say anything negative about your restaurant. As with many other reviews, we agree this place is wonderful. 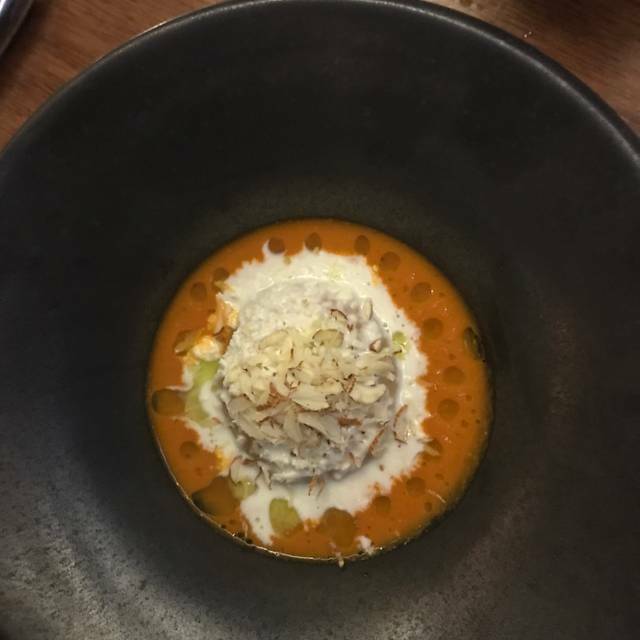 We spent a lot of time searching for interesting food of good quality, and this restaurant really does fit the bill for one of the best in town. The small tasting menu was quite adequate. The steak dish was so tender that you almost hated using a knife on it. Please go there and support this wonderful restaurant. By the way, the Uber driver could not find the restaurant to pick us up, so I simply gave my phone to the staff who directed him to its location. When we first arrived, I couldn’t find the front door myself, but it turned out that the wood paneling on the outside was the door. Just the best food and service. I love eating here. Excellent food wonderful atmosphere and the service was also excellent, the staff were very friendly friendly. A bit expensive but worth it. Two of us are Vegan, and I assumed because our friends had said that this was an excellent restaurant with skilled chefs, that they would be able to make a fantastic vegan meal. Yes they made a great plate presentation with the veggies, but it was non-edible.I was greatly disappointed. Our waiter did apologize profusely. His service was perfect and he had a great sense of humor. But our guest that eats meat says his filet was excellent, and his chocolate fondant was to die for. Plate presentation was excellent. GRATAMENTE SORPRENDIDA, EXCELENTE LA COMIDA Y EL SERVICIO, LA EXPERIENCIA SUPERO TODAS MIS ESPECTATIVAS, SORPRENDIDA CON EL DETALLE QUE TUVIERON CON NOSOTROS CON MOTIVO DE NUESTRO ANIVERSARIO DE BODA. Yes, to people who like « cuisine moléculaire » where you pay a lot for very small portions. And for those who don’t mind being served by waiters who seem to work in a mortuary parlor instead of a restaurant. La chica que te recibe muy descortés y los chef sólo tratan con extranjeros que pena! Hola Mayte, muchas gracias por tu visita y por tu reseña. Lamentamos mucho que el trato de nuestra hostess te haya parecido descortés, siempre buscamos que nuestros clientes se sientan bien acogidos, es una pena que que no lo hayan sentido así. Con respecto a que el chef solo trata con extranjeros, no es así, somos dos chefs en el restaurante que buscamos siempre atender personalmente a todos nuestros clientes, sin importar de donde son, lo cual nos ha distinguido desde que abrimos. This is a fine dining restaurant for foodies. The food, ingredients and presentation is excellent. The chef is actively engaged. We have gone 2 times and will be back! We love Icu. This was our 3rd visit and was just as outstanding as previous visits. Try it, you will love it! We would not have known about Icu without a local recommending it to us. We were so glad she did! The tamale was otherworldly, but there were so many delicious dishes we tried. We loved sitting near the open kitchen, seeing the chefs at work. We also were introduced to so many Mexican wines we never would have known about. Overall a highlight of our dining in PV. We chose the five course tasting menu and it was amazing. I highly recommend ICU to foodies and people who like slow food. This is food at its finest. It was so amazing we ate there 2 times in one week. The seared tuna was one of the best meals we've had anywhere! The beets, 3 ways, was perfect! Great delicious options for vegetarians. 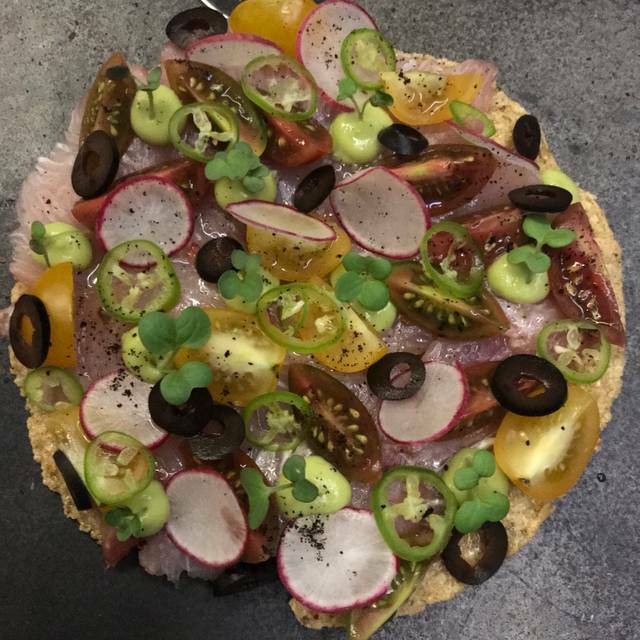 Très très bon pour ceux qui veulent découvrir la cuisine Mexicaine à la modernist cuisine !!! Una excelente opción en comida, servicio. Muy buen ambiente, nuestra única recomendación seria poner un poco mas de atención en la barra de bebidas ya que el servicio fue bastante lento. This was our 3rd visit to Icu. They are consistently great! The grilled oysters were amazing! Good but not great, fish was tasteless. Tasting menu wasnt what I expected. Everything was wonderful - food, service and wine. This was our second visit and it was even better than our first. 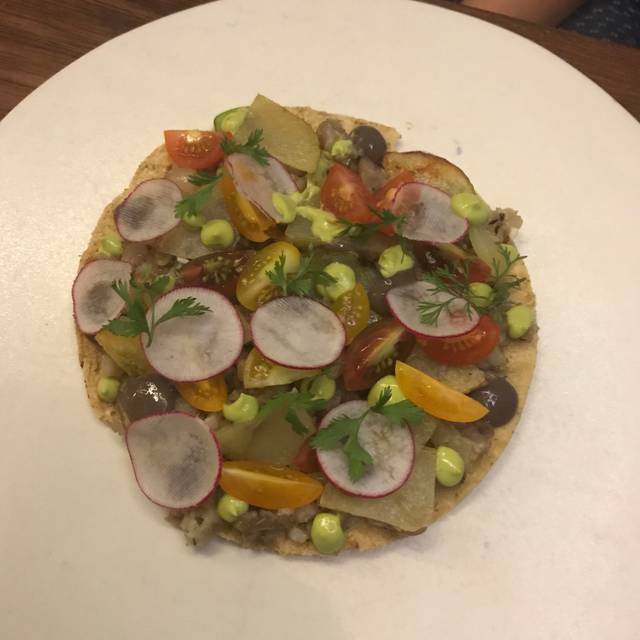 The zucchini tostada. may be one of the best appetizers I have ever tasted. The beets done three ways were terrific. As an entree I had the short ribs huaraches, again outstanding. We are going back soon! The food and the service were outstanding. The Mexican wine we chose was also excellent. Although the restaurant was beautiful in a contemporary way, we really missed the feeling of outdoors that is such a treat when you are here from cold climates. I would definitely recommend this restaurant with the warning that it is very expensive by Vallarta standards. Spectacular food! Truly wonderful experience! Creative food that doesn't destroy the lovely fresh flavors of the ingredients. 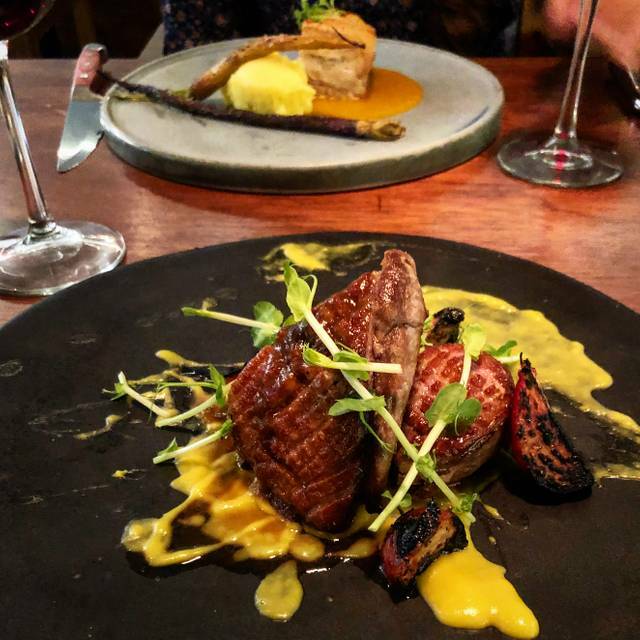 We shared the 9 course tasting menu, because we suspected that it would be a lot of food (even though each course is small) and that was a good idea. One other member of our party had the 5 course tasting menu by himself. Everything is beautifully prepared and presented. We were really happy that we found this gem, a 10 minute walk from our hotel. They did especially well with the seafood options: the seared tuna was perfectly barbecued on the outside and sashimi on the inside, the mahi-mahi was cooked just enough to be still tender, and the dish with scallops was lovely. Each course had interesting seasoning. NIce wine and cocktail selection. Heads up if you don't like things too spicy (piquante)--let them know and they will adjust. And don't be confused if the courses don't arrive in the exact order listed. Top to bottom, a five star rated experience. Food, service, the room. As wonderful a dining experience as we have ever had. Do not miss this. The waitress that took our order never followed up with us the entire meal to check if everything was ok. Food was decent, but the presentation/preparation of the dishes was very nice. The ambiance of the restaurant was super cool. But the lack of service made for a disappointed dinning experience. The highlight of the dinner experience was chocolate cake which was awesome. Wow! Loved this experience! 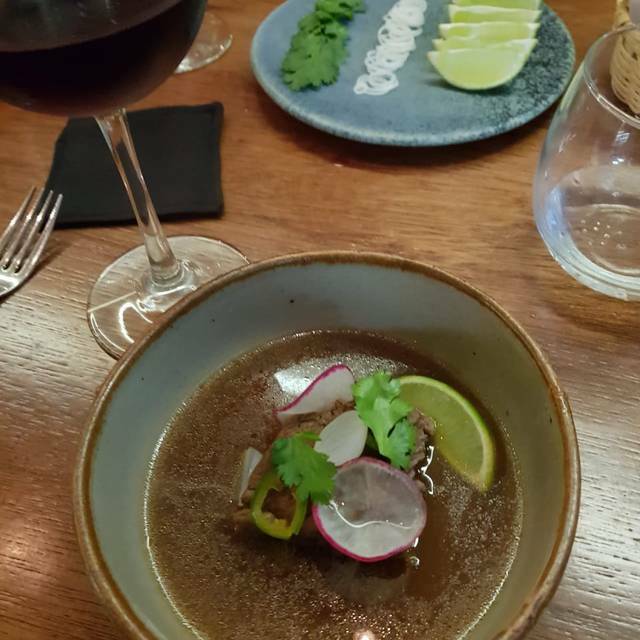 We ordered the 5 course tasting menu with wine pairings and we were blown away at the quality and pairings. Beautiful presentation. Amazing food combinations. This is Mexican food like you never knew you needed it. I wish this restaurant was in my hometown as I would be a regular. So lucky to have discovered this gem. (By the way, Our Uber driver had a tough time finding it but we managed. The sign is on the side street). Amazing food. Amazing service. We have booked to go back again on our last night in PV. Can’t wait! Had a wonderful time on New Year's Eve with a group of friends. The cocktails were inventive and delicious. We had the five course tasting meal with wine pairings and everyone loved it! Every dish was beautifully prepared and plated. It was a feast for your eyes as well as your palate. The staff is friendly and very knowledgable. 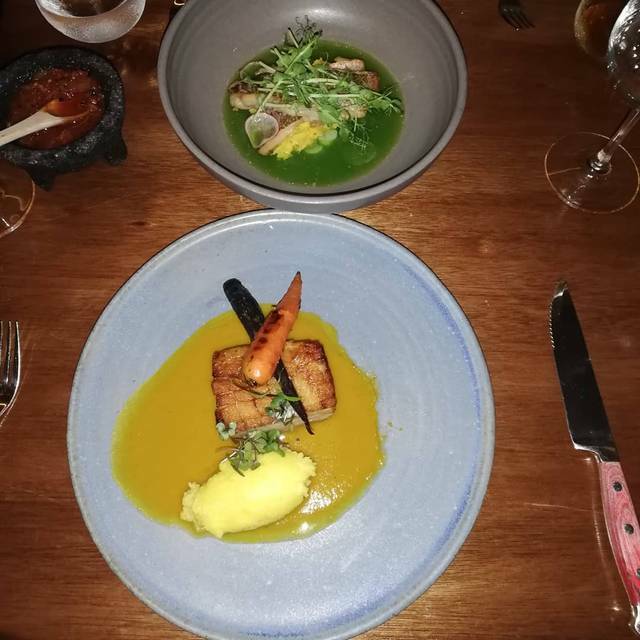 We do a lot of these types of dinners in San Jose and Los Angeles and this experience compares very well with what we've had in California. I highly recommend this place for anyone that really enjoys a creative menu, craft cocktails, a wonderful staff and a talented chef. Pastillas deliciosos y super atención , lo recomiendo ampliamente. El restaurante es pequeño pero acogedor. This was a great find. The food and the flavour combinations were fantastic. Had the octopus with bone marrow which was so good. Others at our table had the five course tasting menu and they did not leave hungry! We are enjoying a gastronomic tour of Puerto Vallarta, eating at all the best restaurants (Cafe des Artistes, La Leche, Le Kliff, etc). Icú stands out even in this crowd. The food represents original and creative takes on classic Mexican cuisine, but it never feels forced. On the contrary, every dish is a delight, with its own special 'wow' factor that lights up the palate in a different way. The service is both solicitous and relaxed. No rushing you through the courses (like in La Leche) or leaving you for 30 minutes after seating (like Cafe des Artises). Great selection of mezcal, and three kinds of salt (including the amazing scorpion salt). This is a world-class restaurant. It is also the most affordable of all the restaurants I've mentioned. The food is great, fresh and innovative. The staff is very enthusiastic and helpful. The only negative thing is the lack of ambiance. There are no windows, views or outside access. If they had any ambiance, it would be impossible to get a reservation!